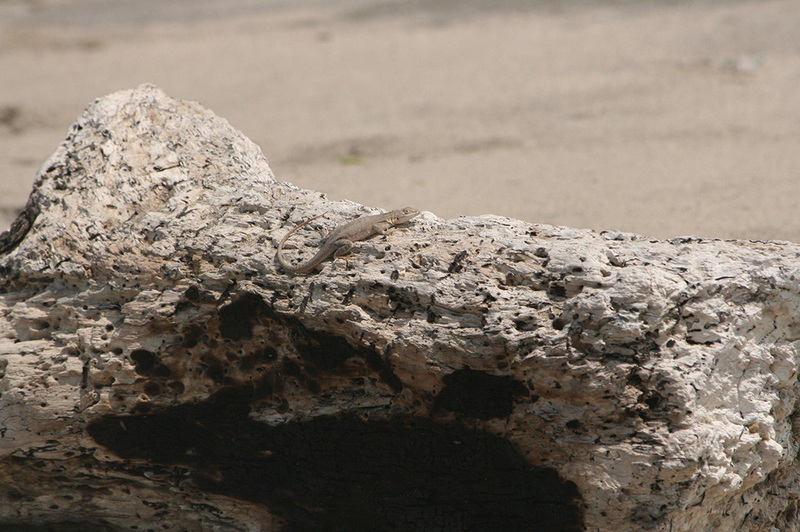 The Pacific Iguanas (Microlophus occipitalis) are endemic to Ecuador and Peru. 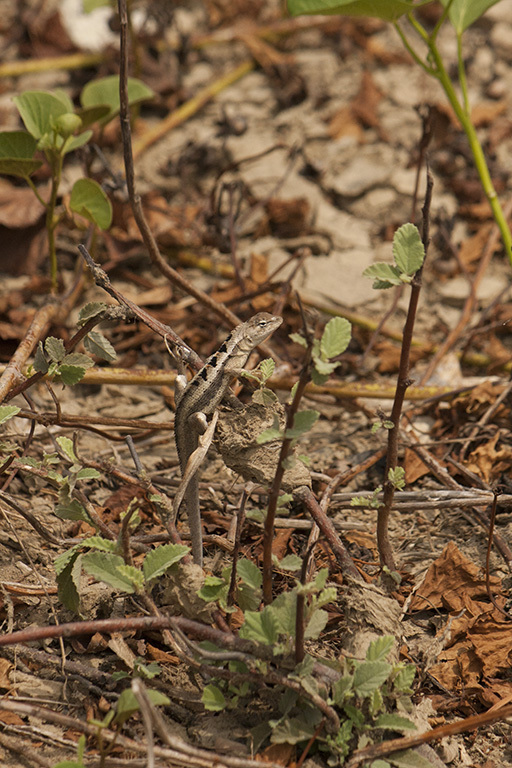 They are small sexually dimorphic lizards with remarkable behaviour. We studied this species on the west coast of Ecuador during December 2017 and January 2018, where they are widely distributed. 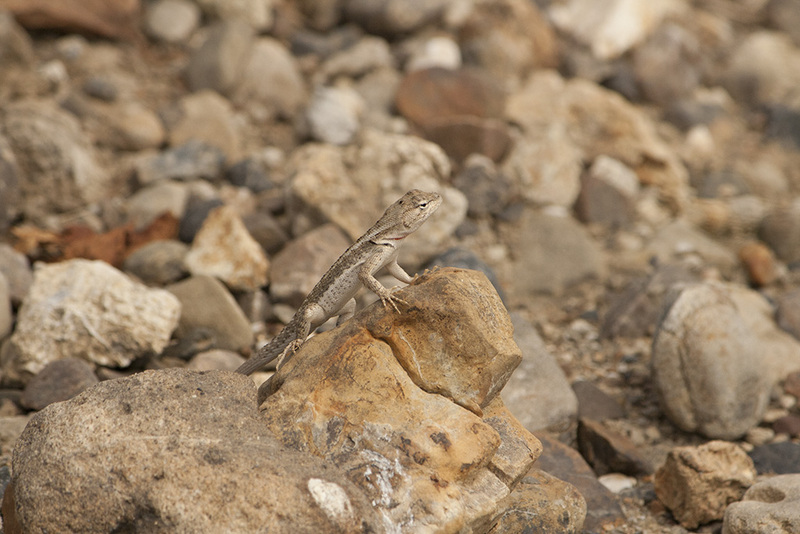 We visited multiple locations where these lizards are the only Microlophus species in the area: Los Frailes and Cerro Alto. 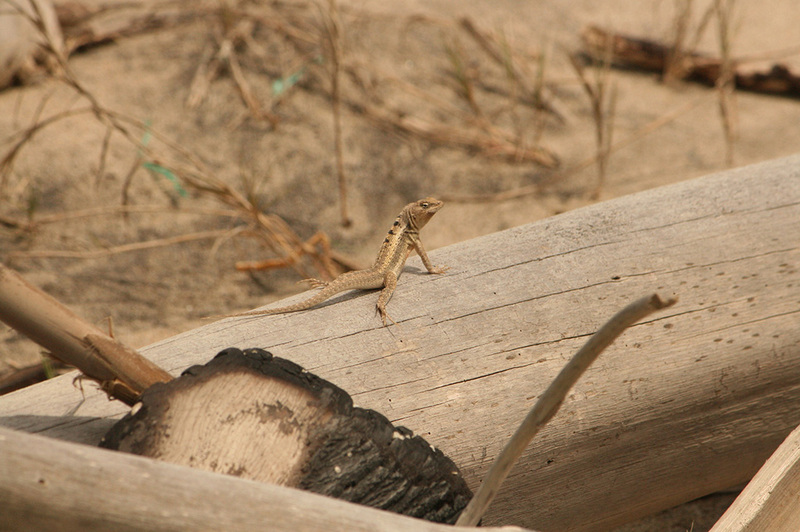 Los Frailes is a natural reserve with dry forest and beach habitats (also perfect for tourism). 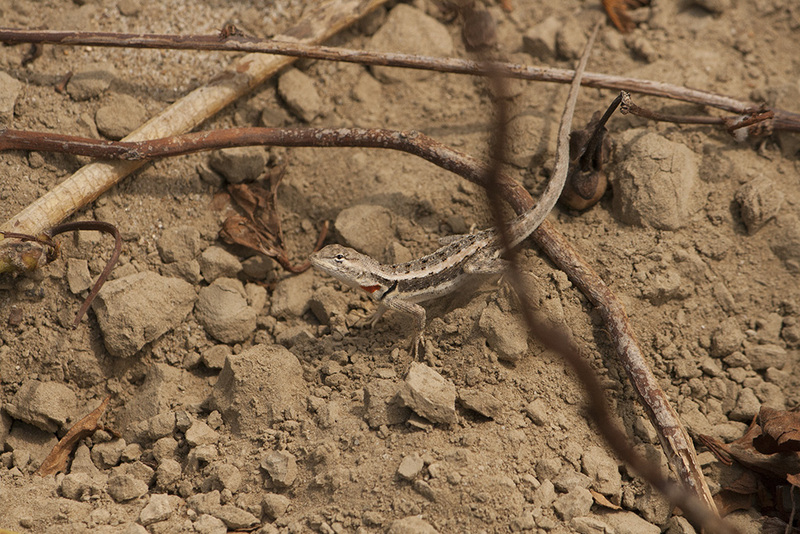 Lizards can be found in creeping plants to the left of the image as well as on the sand. El Pelado is a beach and dry forest with small shrubs and creeping plants. 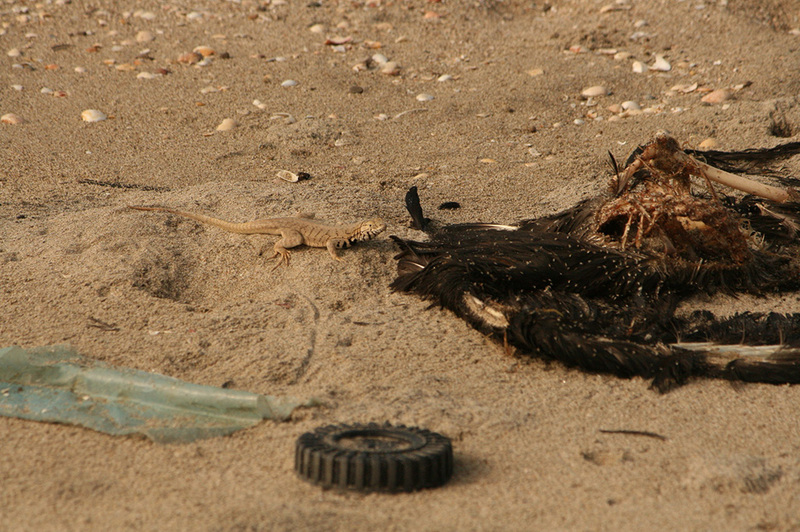 This locality was extremely disturbed and resembled a garbage deposit site. M. occipitalis was mainly found on the creeping plants (green spots on the right hand), while M. peruvianus was found on the fallen branches. La Chocolatera features well preserved dry forest habitat and forms part of the Puntilla de Santa Elena Reserve. The vegetation formed by small shrubs and creeping plants (above) is suitable for M. occipitalis, while the rock faces (below) support M. peruvianus. 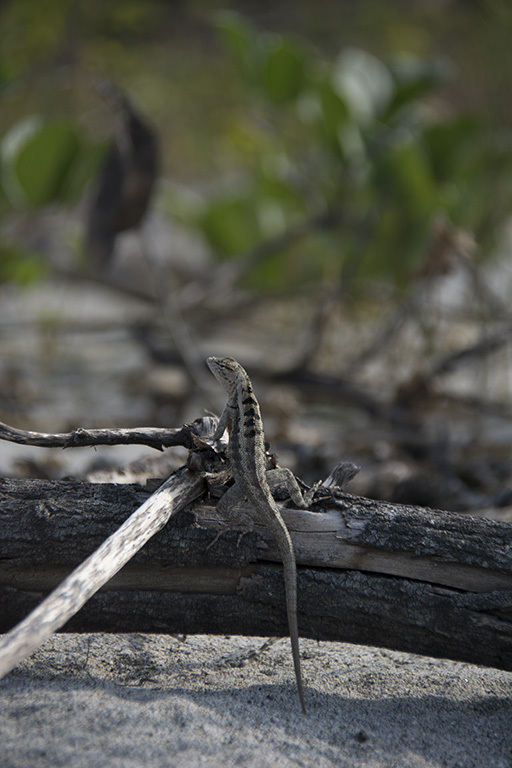 Our overall objective was to consider the influence of sympatry on the behaviour and ecology of this species. 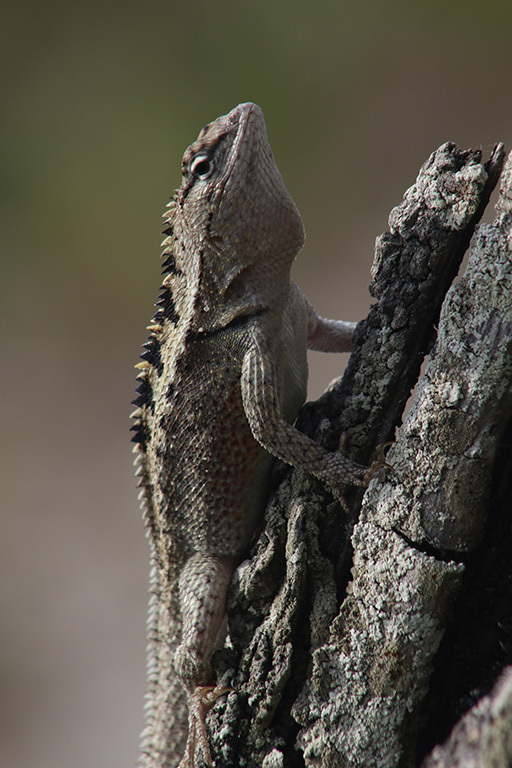 As part of our efforts to characterise these populations, we estimated population density, and recorded a variety of behaviours including territorial displays (head bobs, push-ups, tail movements), mating displays (head bobs, neck bite, and copulation), foraging and basking. Additionally, the territorial displays of males were filmed and morphological data of almost 40 of these individuals were obtained. We completed two months of successful and gratifying fieldwork, and finished with a dataset that will allow us to address our aims – and a very marked suntan! 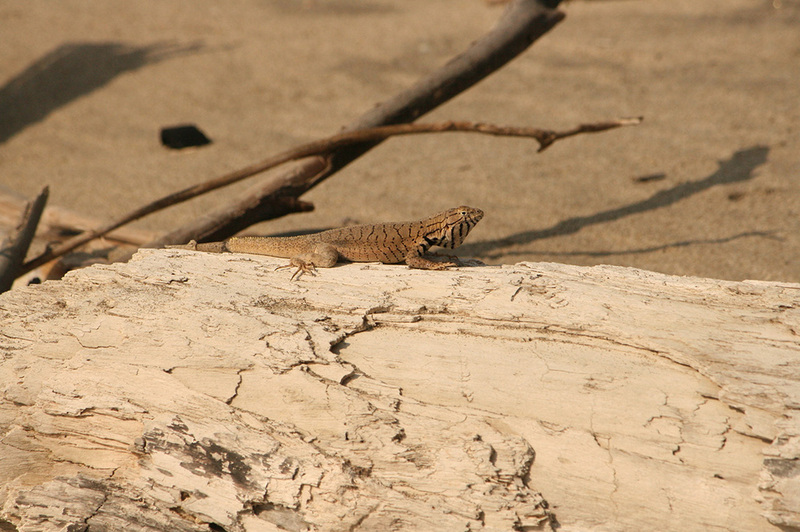 The female do not present black stripes as the male, and is completely grey with a yellow spot between the hind limbs and the stomach, which turns red during the breeding season.